This blog is dedicated to helping our friends live better now. We are totally committed to bringing you products and ideas that can add comfort and design to your life. 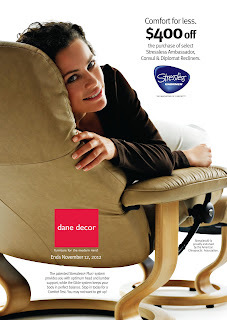 Right now, the world's most comfortable recliner is on sale at dane decor. 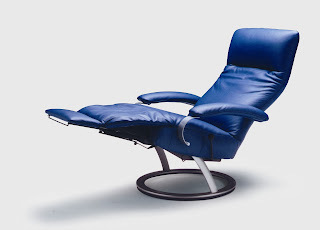 You need to Comfort Test a Stressless chair ASAP. Truly life-altering. WARNING: You may not want to get up! Vinylux products are created from repurposed vintage record albums that are transformed into a variety of new designs. The original record labels are intact and represent the most popular music ever put on vinyl. They work with LPs, 45s, and vintage album covers to create personal, unique gifts that bring vinyl records back into your home! Choose from Rock, Soul, Jazz, Blues, 80s pop, Hip-Hop / Rap, Disco, Crooners, Divas, Showtunes, Folk, Country, Classical. We dig these the most. 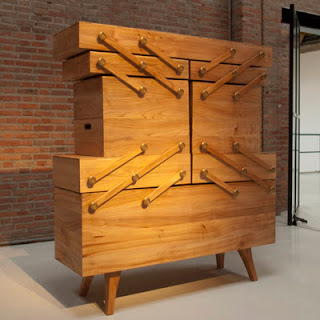 This cabinet by designer Kiki van Eijk that opens like a giant sewing box. The cabinet was made of elm and features knobs cast in solid brass. The mechanism is supported by springs so that pulling on one side opens up the whole structure, despite its weight, without a motor or electronic components. “I wanted to have the analogue feel of this old-school sewing box, and I wouldn’t like it if you have to open it with two people or if there’s a motor inside because then it becomes something electronic and it really doesn’t fit with the idea,” said van Eijk, adding that the project took four years to perfect because the mechanics were so tricky. 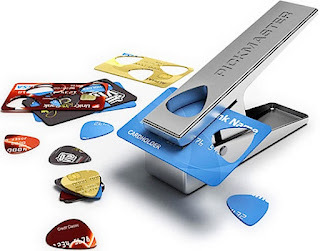 Fun and functional. We love it! This is it! The FINAL WEEKEND of our Langhorne store. To celebrate and to thank you for many great years, this Saturday, October 27th and Sunday, October 28th at our Langhorne Store only, we are giving away $200 Gift Certificates. Every hour our store is open we will call a name drawn from our fishbowl. Use your $200 Gift Certificate towards DRASTICALLY REDUCED Modern and Contemporary furniture. You must be present to win. The store is at 100 N. Buckstown Rd, 19047 in Langhorne, PA. Call 215.752.3042 for additional details! The Social Dept. 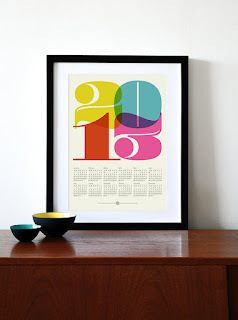 is a husband-and-wife design team out of Akron, Ohio. A self-described mom and pop outfit, the duo personally designs and hand screen-prints each one of their creations. 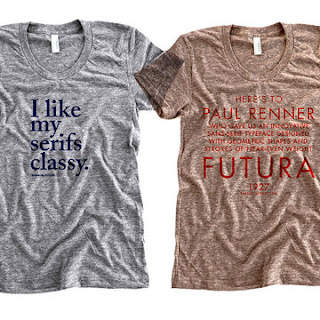 Typeface adorations abound, and we’re excited to have their super-hip ‘Design Nerds’ T-shirts—clothing with a penchant for print. In existence since 1945, renowned manufacturer Bisetti produces a beautiful assortment of Italian-made spice mills and cutting boards. 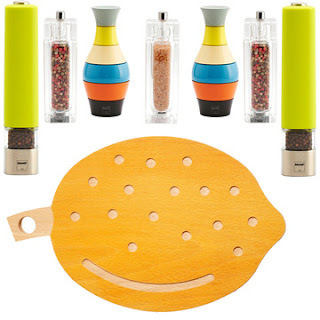 Choose from classic designs containing special salts and peppers, or explore its selection of playful, unexpectedly shaped mills, such as bowling pins, chess pieces, and nesting dolls. We love these...thanks, Fab! Don’t miss "The Nature of Creativity" talk by Professor Donna Usher of West Chester University at 6:30pm. 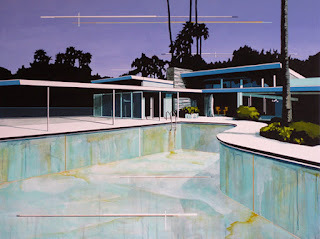 The art exhibit will be ongoing through December 8th. 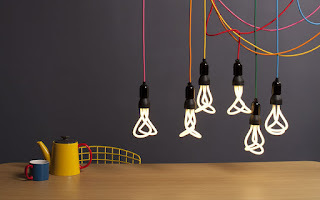 Plumen 001 is the antithesis of low energy light bulbs as we know them. A dynamic identity for a low energy light bulb. 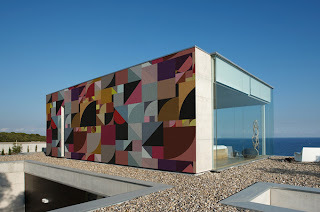 Designed by Samuel Wilkinson in collaboration with Hulger. 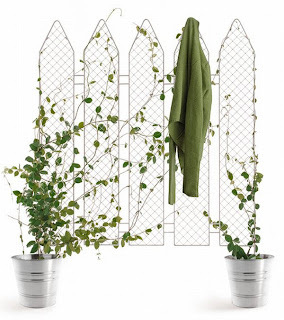 Stylish and functional, the PiantaLà by Andrea Rekalidis Design facilitates the visual growth of the vine and aims to redesign the iconic symbol of the fence by reducing it to a graphic sign.The fence features a partition made from metal rods that can be planted straight into the soil or the pots. The grid supports the plants and makes for a stunning visual separation. Want one? You'll have to ask Andrea to build you one...not in production yet! 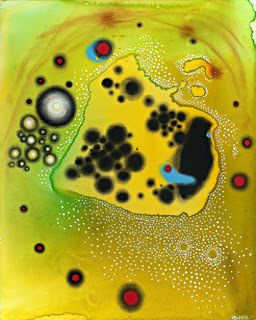 The art exhibit will be ongoing through December 8th. The Bruno Recliner reclines, swivels, has an adjustable tilt headrest and a self storing footrest; not to mention it's comfortable. Bruno will be available in Eagles Green, Phillies Red and Sixers Blue (as shown) as well as 18 other fabulous leather colors on a special order basis - lead times vary based on color. 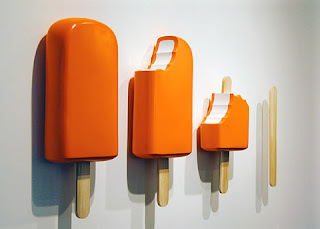 Tim Berg's sculpture are influenced by the consumer culture we inhabit and our desire to create ultra-smooth forms and high gloss finishes that seduce the viewer. Check out the new Andy Warhol limited edition tomato soup cans at Target! 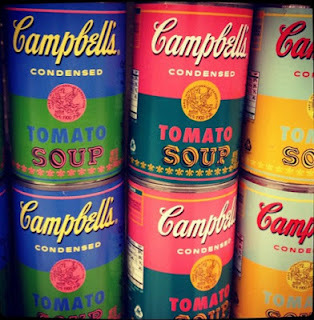 In partnership with the Andy Warhol foundation, Campbell’s is releasing these limited edition cans to celebrate the 50th anniversary of Warhol’s iconic paintings. They’re exclusively being sold at Target stores for 75¢ each. We spotted at least 4 different colorways. How uncanny? Sorry. 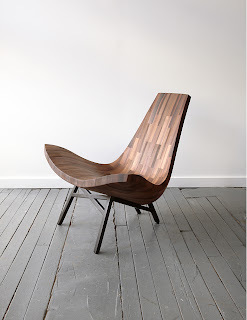 As the name implies Bellboy's Water Tower Chair takes its shape from planks salvaged from a 10,000-gallon rooftop water tank that once stood atop a Park Avenue co-op. The 40-year-old California Redwood lends its beautiful color and rich grain perfectly. Each 8' plank has been chopped down and consecutively laid to accentuate the lounge chair's flowing, mid-century inspired silhouette. Part of an exhibition of Contemporary Design using salvaged material. Do Ho Suh‘s floating fabric structures explore the concept of “home” and the relationship between the nomadic artist and his temporary living quarters. 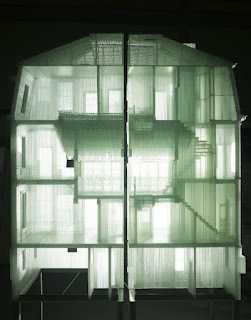 The South Korean sculptor recreates his former residences — crammed studios, traditional family units, Manhattan pre-war apartment buildings — in silk or polyester, which he suspends over a metal framework, giving these solid structures a tenuous, transitory quality. Now he just needs some furniture!